Koclok noodles are traditional foods of Kota Udang, Cirebon. 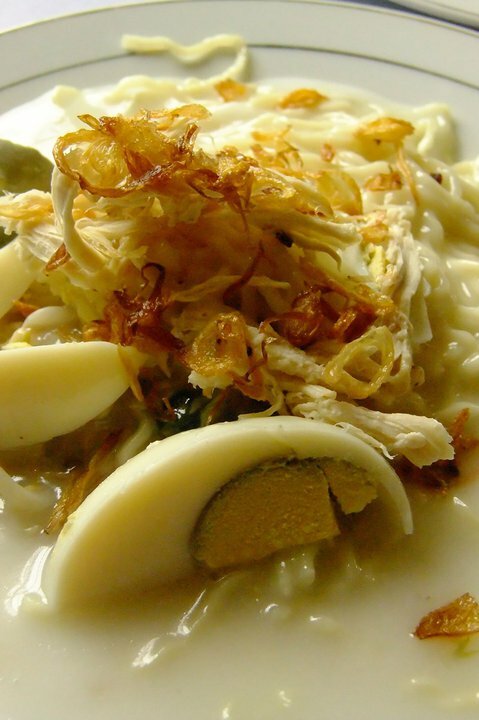 Cirebon koclok noodles contain yellow noodles, sliced egg, chicken meat , and given the flavoring in the form of pieces of green onion, cabbage. and fried onions, well that makes different gravy . It was a thick coconut milk broth with chicken broth mixture and the shaft, so thick, thick like a cream soup. 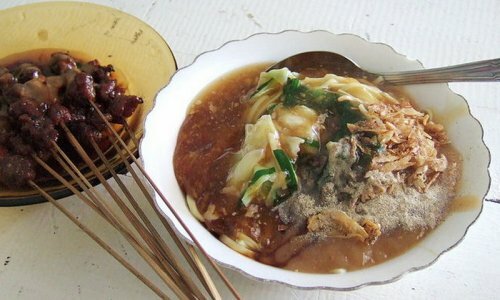 Aceh Noodles, one type of culinary teasing from Aceh, can be sampled in two ways, namely fried or boiled (use soup). To taste can choose their own, whether you want spicy or not. As a variation could use a crab, shrimp, meat or seafood. Variation is what will determine name og the noodles. Kocok noodle it like a typical hot noodles soupy from Bandung, with the addition of bean sprouts and kaskus meat or cowhide. It feels good. Shades of feeling usually is enriched with a blend of cayenne pepper sauce is very spicy. Dhuh, make very interested it seems. 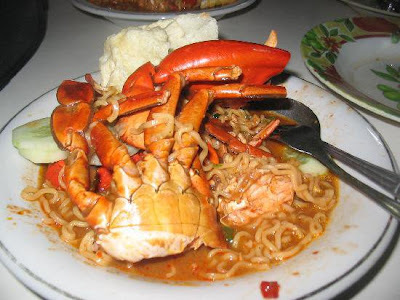 Manado is famous for the sea food. 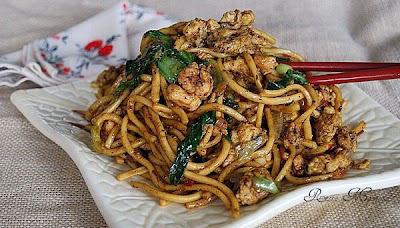 No wonder the noodle menu of this region also have a typical fish dish, which skipjack fish. Noodle dishes which are cooked with tuna will be served with a sauce and laced with shredded tuna. Do not forget, so it feels more 'Manado', noodles eaten with super-spicy sauce, green chilies are mixed with vinegar, water and salt. Celor noodle dish is noodles served in coconut milk and broth mixture ebi (dried shrimp), mixed bean sprouts and served with slices of boiled egg, sprinkled with chopped celery, green onion and fried onions. 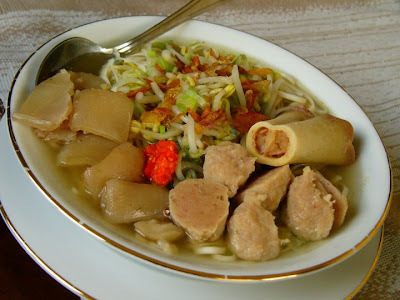 This dish comes from the city of Palembang, South Sumatra, Indonesia, and along with Pempek has been a specialty of Palembang. 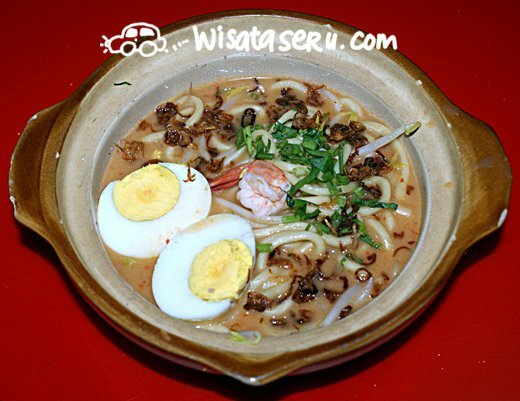 Size greater noodles used, such as Mie Aceh or Japanese Udon noodles. 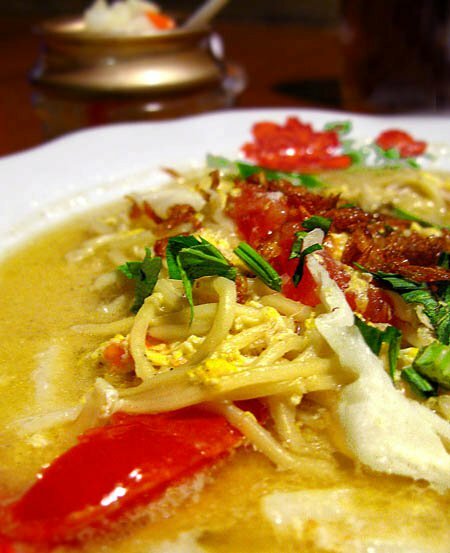 Bangka noodles are one of the many island communities typical of farts, made of wet noodles (yellow) usually doused with a spicy sauce usually made from fish, shrimp, squid, or crab. and is often added to the sprouts or bean sprouts, cucumbers and crackers, delicious when served when still hot, and add the spicy flavor of chili. 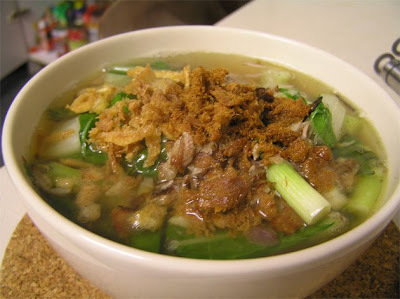 Ongklok noodles are traditional foods of Wonosobo regency of boiled noodles are made with a special concoction using cabbage, leaf chives, and sauce called loh. Most fitting is served warm with satay beef, tempeh kemul, and chips out. 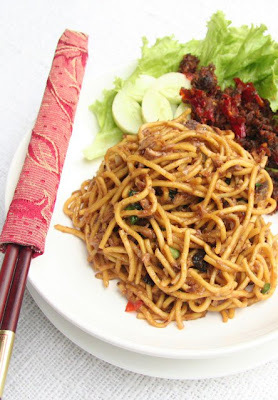 Sagu noodles are traditional foods from Selat Panjang, Pulau Tebing Tinggi, Bengaklis States, Riau Province, Indonesia. 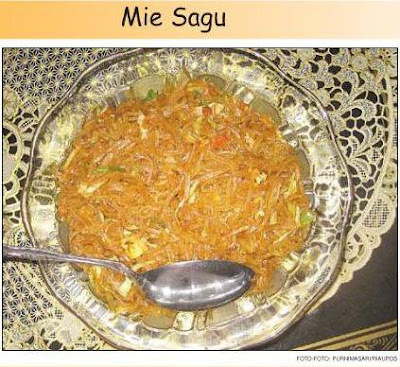 Has existed since long ago, so obviously sago noodles are noodles that are created by Indonesia. These noodles are made from corn starch that is derived from sago palm tree trunks, it was chewy and tasty. and sago tree is only found in Indonesia, such as the Maluku, Irian Jaya, and Riau. but the areas that really make sago as noodles are Long Strait. 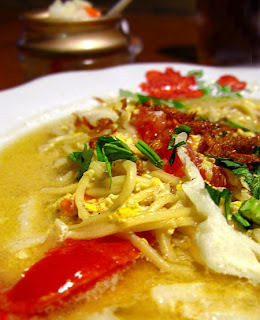 Java Noodles is the typical food from Jogjakarta Java. Clear specifications. Unlike most other cuisines. Java Noodles cooked using coconut charcoal blocks. The use of coconut shells made for several reasons. 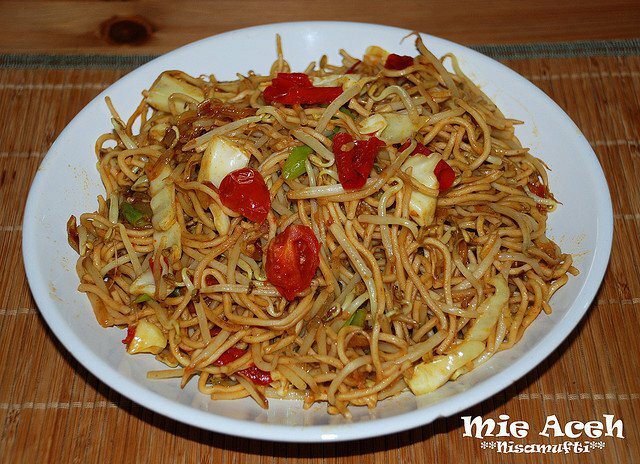 In addition there was no ash, the smell of noodles is also different from most of the noodles. Moreover, these noodles are very hot sting and stable. Materials used are egg noodles, chicken young females (more savory broth, a fat, meat color is more clean, white, low cholesterol, natural growth). Some preparation needs to be done. For example, chicken meat should be cut, cabbage. tomato, green onion, and kekean (wheat flour mixed with egg). Java Noodles is there can be boiled, fried, and nyemek (broth slightly). Chilli sauces from ceklus. It cooked about five minutes. 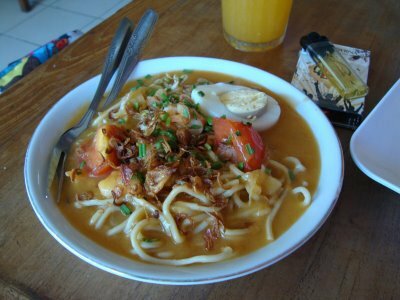 Label: indonesia's culture, indonesia's food, indonesia's noodle, indonesian foods, noodle, traditional food from indonesia.